Where does spin come from? Spin is generated by a combination of forces produced by the golfer, the golf club, and the golf ball. The amount of spin a golfer can make is directly proportional to club head speed. Professional golfers create way more club speed than average golfers – too much in some cases. Everyone has seen a shot on television that lands next to the pin and spins back all the way out of birdie range or even off the front of the green. That is because the tour pro swung too fast, put too much “juice” on the ball and thus failed to control the spin. The grooves on the club face are designed to impart spin on the golf ball. Those grooves create more surface area to impact the ball which translates to more friction at impact and therefore more spin. In the past decade, the United States Golf Association has outlawed square-shaped grooves because they provided too much spin, theoretically making the game too easy. Now all grooves are V-shaped. To produce maximum spin with your own irons, make sure those grooves are always sharp and clean. A pure strike of the golf ball delivered with a descending blow creates the most spin. If grass or dirt comes between the club face and the golf ball the spin and control will be minimized. That is why some lies in the rough are considered “flyers” since there is no way to make clean contact with the golf ball. These lies will produce shots that will be difficult to control. The golf ball is the third element in the triad of spin production. 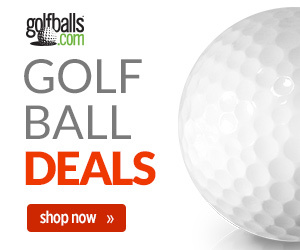 Golf balls are manufactured specifically to be high spin or low spin balls. This is your clue that high spin rates may not be the holy grail for all golfers. Why does the average golfer not want golf shots with a lot of spin? Low spin shots also mean the golf ball does not travel as far to the right or left on slices and hooks, another boon to the average player. 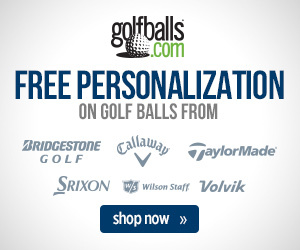 When shopping for golf balls best suited for the high-handicapper’s game, look for low spin balls like Callaway’s Superhot 70 golf balls. Golfers who have played the sport for many years may have noticed that today’s generation of high-tech drivers do not have grooves like drivers of yore. That is because today’s game is all about power and players – even the professionals – are no longer concerned with shaping their tee shots to fit the contours of the hole. It is all about distance and grooves equal friction which equals spin. Eliminating the grooves from drivers creates low spin shots that travel further. Ask yourself, “How many iron shots do I strike perfectly from the fairway each round?” If the answer is one or two, there will not be much benefit derived from a high spin ball, regardless. When choosing your next golf ball, remember that the tour pros are selecting their golf balls with much different goals in mind. Next story Should Your Club Be Customized to Fit You? Previous story What Makes Equipment Tour Legal?